Do you have a Blogger blog and run, or want to run a regular podcast? Well you're in luck, because Blogger makes distributing your podcast very easy. 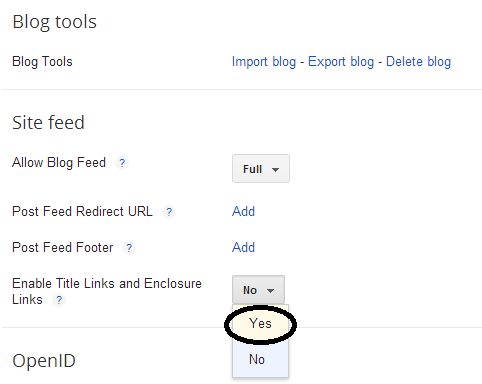 You can use a blog post on your Google Blogger blog to deliver your podcast through an RSS feed. This is done by using Enclosure links, a lesser known feature that has been around for quite some time. In this post, we'll talk about enclosure links in Blogger, and how to enable and use them. A podcast is a digital medium consisting of an episodic series of audio, video, PDF, or ePub files subscribed to, and downloaded through web syndication or streamed online to a computer or mobile device. You can think of a podcast as an episode on radio or television that you can download or watch online on your computer or mobile device. Many popular blogs and websites run regular podcasts which can be anything from weekly product reviews, overviews of the most important news highlights in a week, special Q&A sessions, and so on. Podcasts are typically made available for download on subscription (or for free) from a host web-server. These media files (audio, video etc.) can be streamed as well on 'podcatchers' - client applications that can read podcasts, and help users manage their subscriptions. This isn't unlike the RSS feed for a website, except an RSS mostly consists of text and images. RSS feeds can be read by 'RSS readers' in much the same way podcasts can be read by podcatchers. So where does a Blogger blog come in here? By default, Blogger posts are in Atom format (like an RSS feed). Podcast media that you add in a post isn't normally readable by Atom or RSS readers. But since Blogger posts are in Atom format, that podcast media can't be read by podcatchers either. So this is where enclosure links come in. Enclosure links are bits of information in Atom and RSS feeds that make podcasting possible by making such media 'visible' to podcatchers. This enables your audience to subscribe to your blog via any podcatcher such as iTunes. How to enable Enclosure links in Blogger? 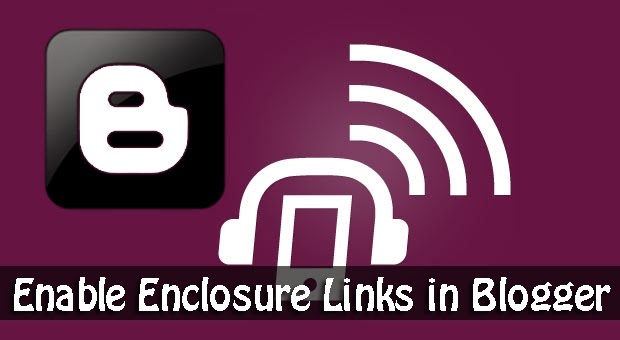 In order to enclose podcast media into your blog post, you first have to turn on enclosure links. 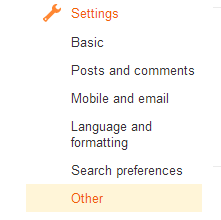 To do this, go to your Blogger dashboard, and then click on Settings >> Other from the sidebar on the left. 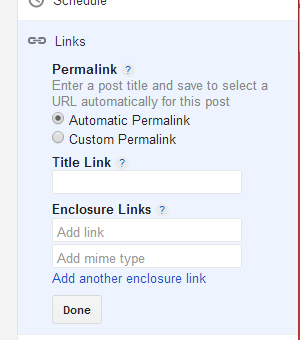 Next, look for the option that says Enable Title Links and Enclosure Links. Set this option to Yes. Now, when you open the post editor in Blogger, you will be able to see enclosure links in the Links section where the Permalink section used to be. The Title link is something else, and you do not need to mess around with it. We're just interested in the Enclosure Links section, Notice that you can add multiple enclosure links, along with their MIME types. But for compatibility with most client-applications, it is best to add just one per post. You can leave MIME types blank, since MIME types for most common file extensions are auto-detected by Blogger. Also, if you add a video to your post using the built-in video uploader, enclosure links will be automatically generated. So you really only need to add enclosure links manually for audio files. Thanks. You helped me to learn something new. Thanks again. Thanks, Mohammad, nicely explained. I will try to improve my blog. Can you give me Enclosure links example and type? Exactly what I'm looking for. Thanks! Do I need to use "Enable Title Links and Enclosure Links"? for my blog at http://eyecolors.blogspot.com/ or is it not needed? Thnks for these post it is helpful. This is my first time of seeing this in my blogger editor so I searched immediately for the solution on Google and here I am reading the most comprehensive write-up that explained it extensively. Thanks and I have learnt alot from it sir. I can't leave the MIME blank, it says error, and I need to put something there. My file is an audio mp3 file, so what am I supposed to put in the MIME section?